A pair of my sunglasses broke (which is why I never spend more than $5 on sunglasses…) and the girls got quite a kick out of playing with the frames. 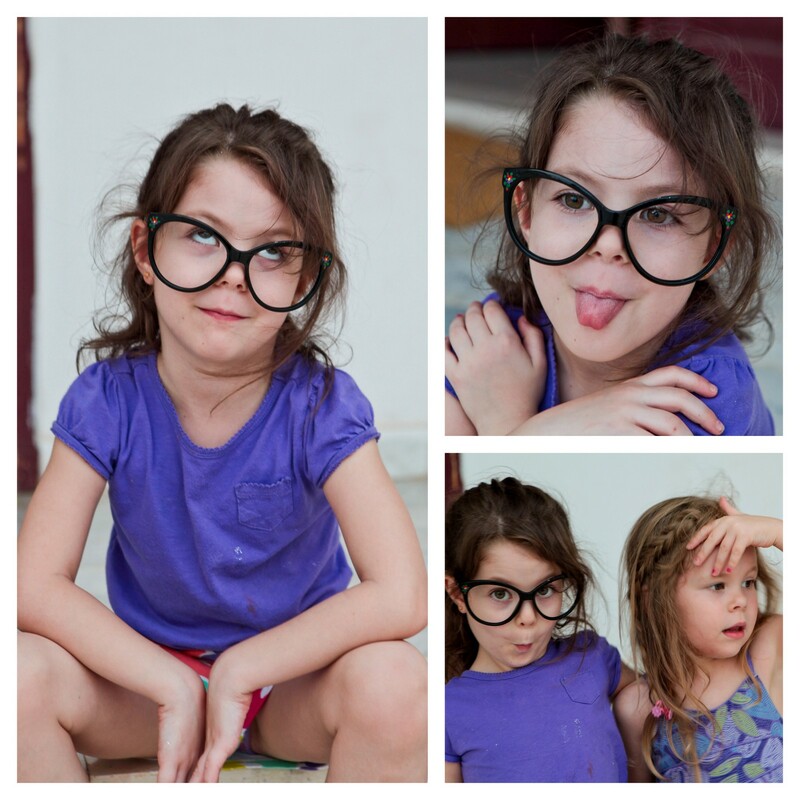 I asked Sayla for some pictures in the glasses but she is not interested in being my model right now. Keadryn, on the other hand is a total ham and was happy to do a photo shoot. Eventually, Sayla wanted to join the fun…and these just make me laugh. This entry was posted in categories, family and tagged everyday life, keadryn, kid humor, sayla, the girls. Bookmark the permalink.